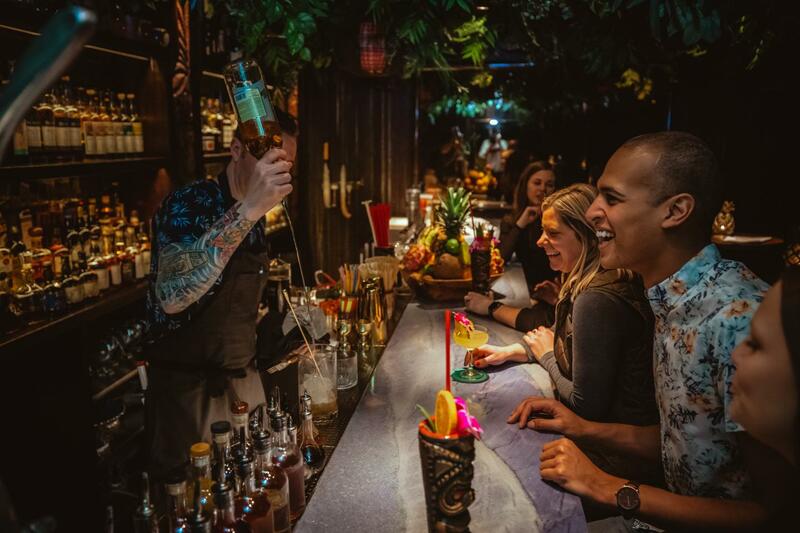 The team at The Bamboo Room and Three Dots and a Dash, led by Beverage Director, Kevin Beary, is hosting its first ever Spring Rum Series kicking off Thursday, April 25 – Sunday, April 28. Think four days of rum-centric events from rare rum tastings that will debut unique spirits to Chicago, meet-and-greets with some of the most influential distillers in the industry, collaborations with award-winning rum bars from around the world, a panel in partnership with The Rum Reader and lots more. The Spring Rum Series will be held at The Bamboo Room and Three Dots and a Dash. Space is limited for these events. Purchase tickets to the Spring Rum Series via Tock. Check out the full calendar of events! WHAT: Join award-winning Worthy Park’s Alexander Kong for an exclusive guided tasting of never before released rums from the prolific Worthy Park Distillery. Guests will experience the rums from this iconic Jamaican distillery starting with un-aged distillate, followed by a vertical tasting of cask samples at various stages of maturation: 3-years, 5-years and 10-years, with the finale of the soon-to-be released 2006 vintage. There will be two tasting sessions available with a limited number of seats. The first tasting will begin at 6:00 PM, to make a reservation via Tock, click here. The second tasting will be at 7:45 PM, click here to make your reservation via Tock. WHERE: The Bamboo Room at Three Dots and a Dash, 435 N. Clark St.
WHAT: Kate Perry of La Maison and Velier’s guides you through an exploration of Clairin, the organic, ancestral spirit of Haiti that made its American debut just last year in April 2018. Learn about the production techniques and traditions of this unique spirit while tasting through the Clairin range of spirits. In addition to the tasting, sip on cocktails crafted with these rhums made exclusively for this event. Space is limited, purchase tickets to this tasting via Tock here. WHAT: Join La Maison and Velier’s Kate Perry and taste Hampden Estate’s new aged rums. From Jamaica, Hampden Estate has been producing the most valuable rums in the Caribbean for more than 265 years, but has never before bottled their own aged spirit until now. Space is limited for this guided tasting, reserve your spot via Tock here. 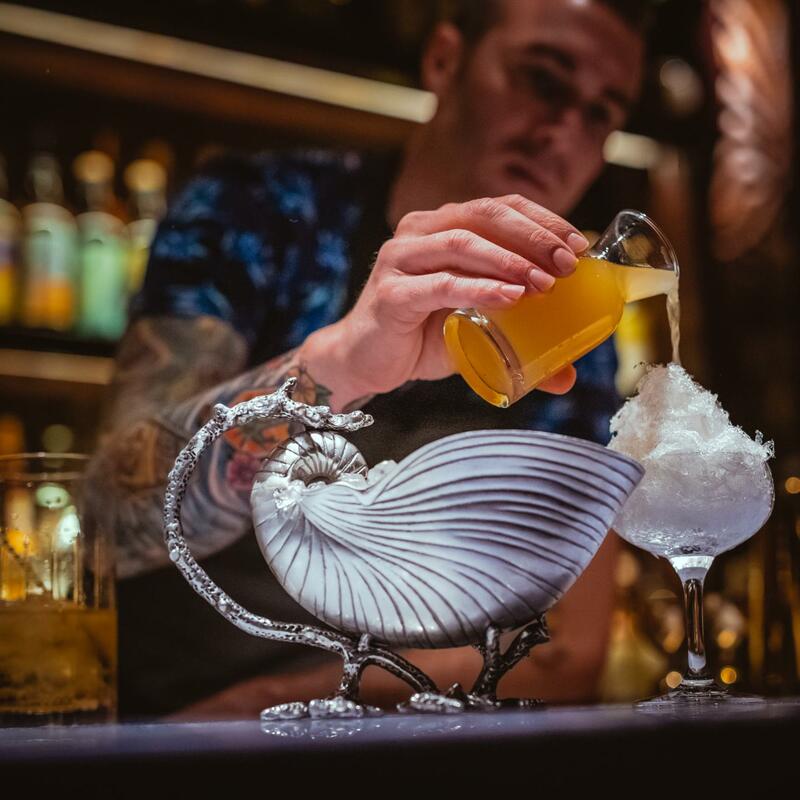 WHAT: For one night only, Kevin Beary of The Bamboo Room and Three Dots and a Dash welcome Robin James, Beverage Director of famed Toronto rum bar, Miss Thing’s for an exclusive collaboration. The duo will be taking over The Bamboo Room and presenting a special a la carte menu of classic r(h)um and tiki cocktails, re-imagined with Clairin, the traditional Rhum of Haiti as well as exclusive r(h)ums from Hampden Estate in Jamaica. Reservations are available via Tock from 9:30 PM – midnight on Friday, April 28, click here. Please note, this special menu will be the only one available in The Bamboo Room throughout the evening. *All selections are served as ½ ounce pours. There is limited availability of these r(h)ums, so make your reservation at The Bamboo Room via Tock here. WHAT: Join The Rum Reader and Three Dots and a Dash for a unique panel with a select group of Chicago’s most creative bartenders and drinks/rum industry experts like Toby Maloney, Kevin Beary and Adrienne Stoner, where they will discuss their varying perspectives on rum’s beloved classic cocktail, the Daiquiri. Moderated by Chicago journalist David Hammond, the panel will dive into the rich complexities of this seemingly simple drink, serving tastings of Daiquiri variations to explore. Ticket pricing includes admission to the panel, one of The Bamboo Room’s signature daiquiris, a welcome cocktail, and daiquiri tastings. To reserve your seat via Tock, click here. WHERE: Three Dots and a Dash, 435 N. Clark St.
WHAT: To close out the Spring Rum Series, Kevin Beary of The Bamboo Room will be hosting the ultimate daiquiri party with a special daiquiri-only menu, all crafted with the finest rums from distillers around the world. Reservations are available via Tock here and walk-ins are welcome. WHERE: The Bamboo Room, 435 N. Clark St.
Have you checked out, The Bamboo Room? Learn more about it here.